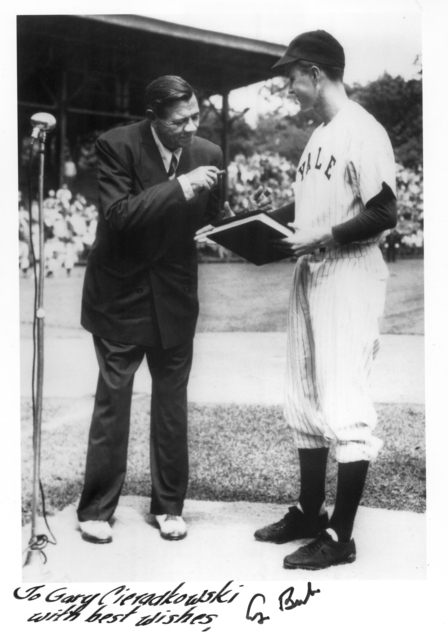 The freshman who tried out for the Yale baseball team in the Spring of 1947 wasn’t your typical college kid. The 22 year-old just left the U.S. Navy where he spent the last 3 years on an aircraft carrier flying torpedo bombers against the Japanese. On one of his 58 combat missions, his Avenger was hit by flak, and ignoring his burning engine, completed his bombing run before bailing out. His two other crew members killed, he floated on a raft alone for hours before a dramatic rescue by an American submarine. He earned a Distinguished Flying Cross and three Air Medals, and upon his discharge, he married his long-time girlfriend Barbara and entered Yale University. His offensive skills were another matter. In the 1947 season he is credited with a .239 average with a homer and a couple of doubles. Since first base is traditionally a spot where you put your big, slow-fielding slugger, the fact that Coach Allen left the mediocre-hitting Bush there as a starter speaks much to his defensive skills. Yale’s record of 19-8 earned them the honor of playing in the very first college World Series. Held in Kalamazoo, Michigan, the Ivy League Yale Bulldogs faced the University of California at Berkley Bears. The Californian’s won the best of three series sparked by their ace pitcher, Jackie Jensen, later a star outfielder for the Boston Red Sox. It was a disappointing end to Yale’s season, but like millions of baseball fans have muttered over the years, there’s always next year, and the Bulldogs didn’t disappoint. In 1948, first baseman George Bush improved his hitting by over 20 points and his fielding continued to sparkle. During one game against North Carolina State Bush went 3 for 5 with a double and triple, accompanied by his usual first-rate defensive play. Walking off the field after the game, a major league scout approached and inquired about George’s interest in playing professional ball. This brush with the scout was as close to the big leagues as George would get as a player, but his 1948 season would be memorable in other ways. 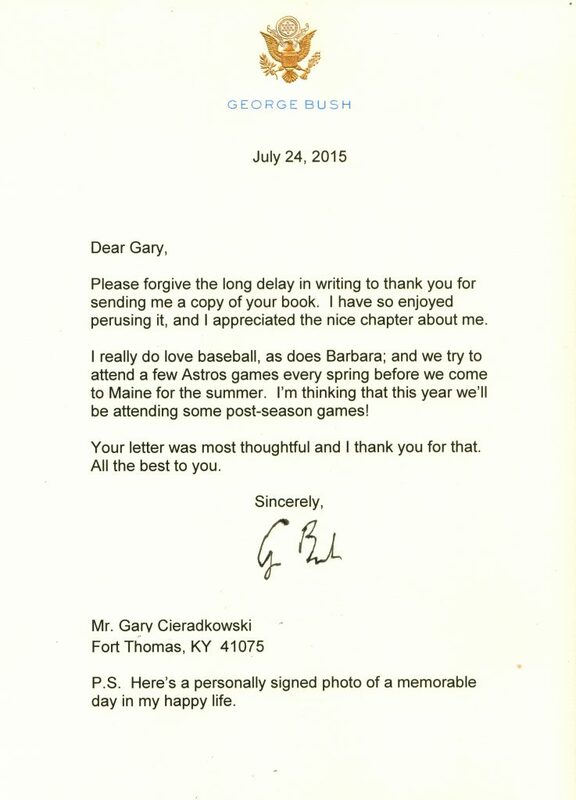 After another loss to Berkley in the 1948 College World Series, George Bush graduated from Yale. Though he went on to other things, baseball always remained close to his heart. Each spring he tried to make it to an opening day game, each year alternating between leagues. When he took office as President of the United States in 1989, in the top drawer of his desk in the Oval Office was a well-oiled first baseman’s mitt, just in case.